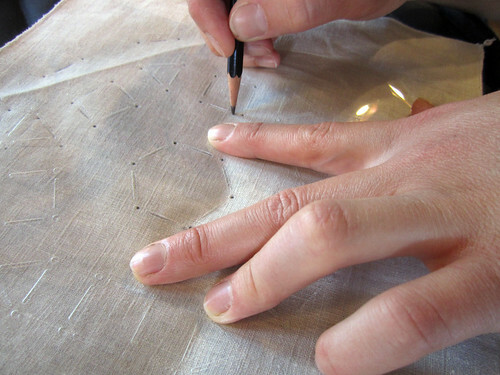 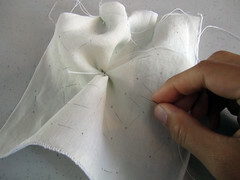 Chris Palmer demonstrated how to pleat fabric using a technique of pre-stitching it together with thread. 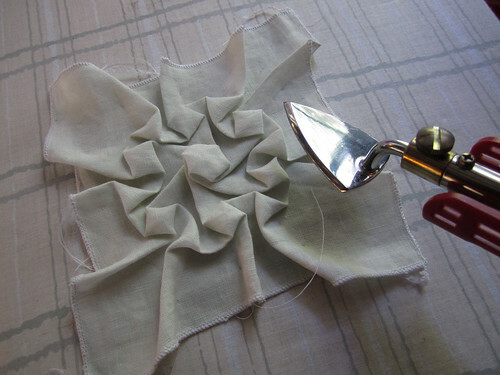 More about his work and technique, and the patterns for the folds are all documented in his book Shadow Folds. 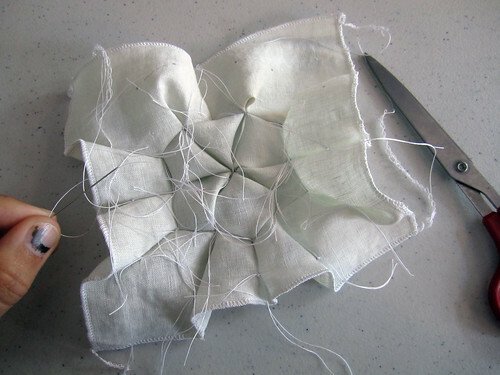 With a needle and thread sew grouped stitch-marks together and tie a square knot. 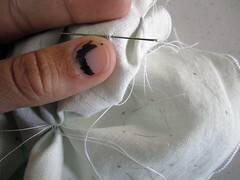 Make sure not to catch any of the fabric when you tie these knots. 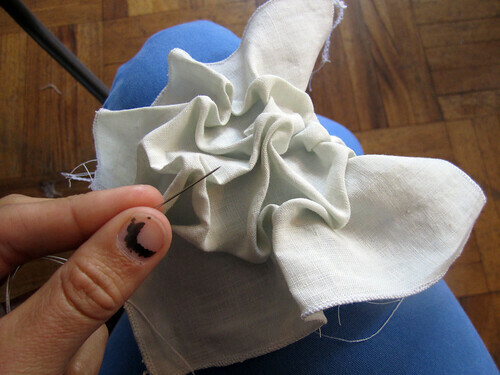 When you’re done it helps to look at a photo of the final fold piece you are making, to help you arrange the pleats in the right direction.